This is a specimen of a member of the Desmospongia, the most diverse of modern-day sponges. Greater than 90% of the extant 5,000 known species of sponges are desmosponges. Such a representation in the fossil record is not maintained where less than half the known genera are of this type, a consequence of the fact that the skeletons do not fossilize readily. Desmosponge skeletons are composed of spongin fibers and/or siliceous spicules. Sponges are known from the late Precambrian, with few localities contributing to the fossil record over time. The genus Hazelia is perhaps best known from the Burgess Shale where nine distinct Hazelia species are described (and several other sponge genera) but also occurs in the House Range of Utah. The Chengjiang Biota is one such fossil lagerstatte, with sponges having the second highest representations among metazoans, right after the arthropods. The Chengjiang sponges are though to have been suspension feeders that used tiering much like crinoids to feed at different heights in shelves and reefs within the water column. Sponges are, of course, primitive sessile animals that lack nervous, digestive and circulatory systems; despite their simplicity, or maybe because of it, they were among the very first animals and remain a robust phylum in modern times. Molecular clocks based on DNA or amino acid sequences support the appearance of sponges well prior to the Cambrian Explosion. 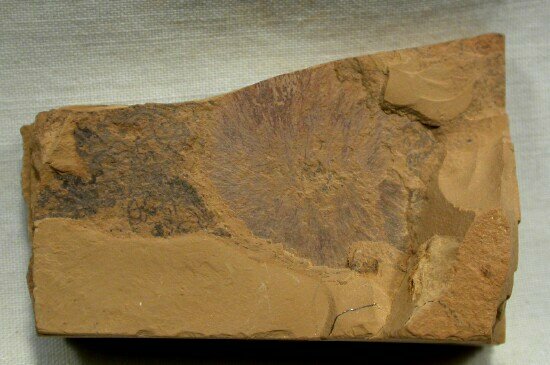 Sponges fossils are known from the 580 million year old Ediacaran Period Doushantuo Formation, many of which have been placed in Family Demospongiae. 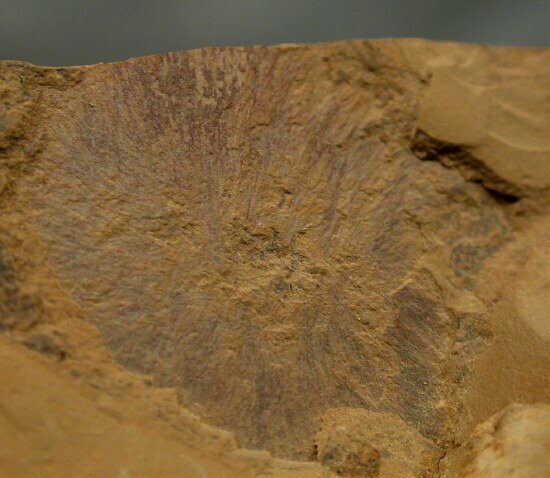 However, the silica spicules often used to characterize demosponges do not appear in the fossil record until the Cambrian. The oldest undisputed sponge fossil date to the Neoproterozoic (~ 700 mya), and molecular biomarkers suggest an appearance as early as 1800 mya at the end of the Paleoproterozoic. Some sponge internal skeletons comprise soft spongin protein that poorly fossilizes, but many have exoskeletons composed of interwoven spicules made of calcium carbonate or silicon dioxide that do preserve well and add beauty to their fossil remains. The latest evolutionary biology research suggests that the closest sponge relatives are choanoflagellates, single-celled organisms very close to sponge choanocytes. If so, the Metazoa evolved from animals quite similar to sponges, further suggesting that sponges could be paraphyletic (i.e., sponge ancestors may have given rise to all non-sponge Metazoa as well as extant sponges). Walcott, 1920, in the Cambrian of Utah". Journal of Paleontology (Paleontological Society) 71 (6): 994–997. doi:10.2307/1306598 (inactive 2014-11-09). Love, G.D., et al. (2009). "Fossil steroids record the appearance of Demospongiae during the Cryogenian period". Nature 457 (7230): 718–721. Borchiellini, C., Manuel, M., Alivon, E., Boury-Esnault, N., Vacelet J., and Le Parco, Y. (2001). "Sponge paraphyly and the origin of Metazoa". Journal of Evolutionary Biology 14 (1): 171–179. Other Burgess Shale sponges on genus Hazelia: Hazelia conferta (Walcott, 1920), Hazelia crateria (Rigby, 1986), Hazelia delicatula (Walcott, 1920), Hazelia dignata (Walcott, 1920), Hazelia grandis (Walcott, 1920), Hazelia luteria (Rigby, 1986), Hazelia nodulifera (Walcott, 1920), Hazelia obscura (Walcott, 1920), and Hazelia palmata (Walcott, 1920).